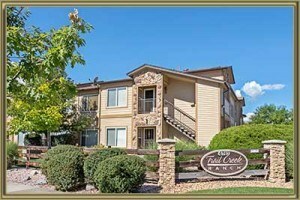 The Trail Creek Ranch condos complex is located in the heart of Littleton. It consists of 183 contemporary units built in 2001. The complex is within walking distance to fabulous shopping, restaurants and is just a short drive to medical facilities. The condo floor plans average 700 to 1300 square feet with in-unit laundry, and either a patio or deck for outdoor entertaining. Residents will either have a one-car detached garage or a single reserved parking space. The Trail Creek Ranch complex includes a clubhouse which encompasses an exercise room, pool table, kitchen, outdoor pool and hot tub. The HOA is professionally managed by 5280 Property Management and the monthly fee also includes exterior building maintenance, sewer, trash, and snow shoveling. See what your Condo is worth With an Instant Home Valuation Online. Want advice on selling your Condo? We provide a free staging consultation, pre-listing prep plan, and a Trail Creek Ranch real estate market analysis. Call us at 303-325-5690 to learn more. New to the Area? Call our Trail Creek Ranch real estate agent at 303-325-5690 to schedule your tour of Condos in Littleton CO.